Upstairs three rooms (11 m2) each, in one two single beds in each of the two bedrooms a double bed. Upstairs toilet and bathroom with shower cabin, a large hall. The house is located in a pen at the entrance of a small quiet village in the Baladour, with open views of the Monts du Cantal, Planèze St-Flour, independent, not overlooked, featuring a shaded lawn of 600 m2 with children's swing. The rental is distant 5 kms from shops: Allanche - Neussargues. A visit to the house of Marcenat lightning. A Murat home for wildlife, its abbey church, the Church of Bredon. Within about St Flour, the Garabit Viaduct by Gustave Eiffel, the dam of Granval, Heat-Acute spa, its hot water. For those who like to climb: the Plomb du Cantal, Puy Mary, and many other excursions to discover. The trout fishing why not? Nous avons été bien reçus malgré une réservation tardive. Nous avons passé un très bon week-end dans cette maison située dans un village très calme à 25 minutes de la station du lioran. Nous reviendrons! << Nous reviendrons >> si vous revenez nous tacherons de faire un peu mieux pour vous satisfaire, encore plus nous avons apprécier votre gentillesse,votre sympathie.Merci pour tout. Super séjour en famille,calme et reposant. La maison est spacieuse avec un joli jardin. Accueil chaleureux du propriétaire. Nous recommandons fortement cette location. Déconseillé aux amateurs de grand luxe mais parfait pour les amoureux de la nature, du silence et de la simplicité.Parfait pour notre petit séjour,seul bémol, wc et douche uniquement à l'étage. Accueil très sympathique. Nous étions comme chez nos grand-parents. Flag comfortably sleeps 10, on the ground floor, kitchen 9 m2, dining room: 17 m2, two bedrooms with in each bedroom a double bed, one of: 17 m2, one of 10 m2 . with a sink in each room. Upstairs 3 bedrooms: 11 m2 each, in one of them two single beds in each of the two bedrooms a double bed. Upstairs also a toilet, a bathroom with shower cabin, a large hall. 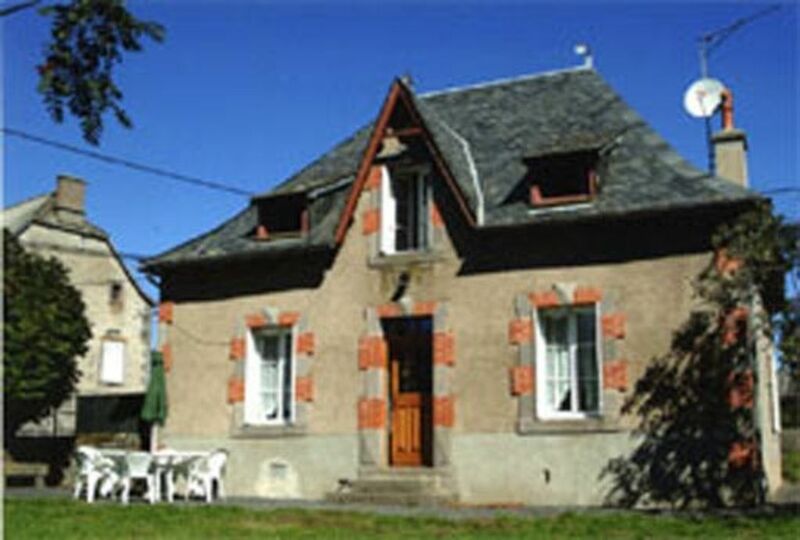 The house is located at the entrance of a small quiet village in the Baladour with view of the mountains of Cantal, planèze St-Flour. The house i in a pen, independent, not overlooked, is embellished with a shady lawn 600 m2, with swing for children. The rental is remote from the shops from 5 Kms Allanche - Neussargues. To occupy your leisure holiday, for those who like to walk a hiking trail passes near the house. The river 1km may occupy the trout fishermen. A Allanche (5 km) rail bike to discover the highlands of Cezalliers - The cascade of Veyrines. A Marcenat home from lightning. Murat A home for wildlife, its abbey church, the Church of Bredon. 30 kms St-Flour, uptown, on a rock basalt cathedral, the consular home, his lower town. For those who like to climb: The Plomb du Cantal, Le Puy Mary. many walks await you. On the occasion of your holidays come to discover this region, pleasant, calm, quiet, full of richness, to discover its culture, to visit its inheritance: cathedrals, castles, cascades, museums, ordinary ovens.